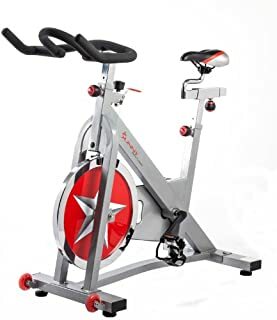 The Sunny Health & Fitness SF-B901 Pro Indoor Cycling Bike is just what you’ve been looking for to take your home exercise routine to the next level. Its totally portable design makes it great for those who want to avoid the gym (like me) or for those looking to squeeze extra workouts in whenever they want! The SF-B901 was designed to be a no-frills, straightforward indoor cycle, which means you don’t have to worry about hooking up your Bluetooth—just work out. “No-frills” doesn’t mean “no features.” What I mean is that the SF-B901 Pro stationary bicycle gives you what a lot of other indoor cycles don’t: exactly what you need. 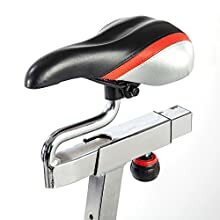 It has the fully adjustable seat and handlebars for maximum comfort as well as the felt pad resistance and chain drive mechanism for a smooth and realistic workout. For a guy like me, the SF-B901 is perfect because its design allows it to be affordable without giving up anything in quality. There’s no reason you need to pay an extra $200 for extra bells and whistles you don’t need, and the SF-B901 Pro Indoor Cycling Bike doesn’t ask you to! The frame is covered within one year with proof of purchase. All other pieces of the SF-B901Pro are covered within 90 days with proof of purchase. The Sunny SF-B901 Pro warranty doesn’t cover wear and tear or anything broken by the purchaser accidentally or with purpose. Shipping costs and delivery options for the SF-B901 Pro Indoor Cycling Bike will vary depending on where you shop. Many online retailers have free shipping available, even for large products like the SF-B901! Like most spinning bikes available today, this bike requires assembly. Sunny Health & Fitness provide a detailed set of instructions to make it as easy as possible. You will need your own tools but assembly should only take about an hour. 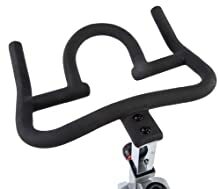 To download SF-B901 Pro Indoor Cycling Bike Assembly & Owner’s Manual click here. Simple Design – I can’t say enough about the straightforward design of the Sunny B901 Pro Indoor Cycle. I love the fact that you get exactly what you pay for without the expensive electronic add-ons and that it is enough to get a great cardio workout from home! Durable Materials – If you’re like me, your indoor bike will see a lot of periods of use throughout its lifetime, which means you want a bike that will last. The Sunny Health & Fitness SF-B901 Pro is made of durable, heavy-duty steel, so it will last a long time. The Right Features – Just because it doesn’t have a lot of extra features doesn’t mean it doesn’t have the right ones. This bike’s adjustable felt pad resistance and smooth chain drive give you everything you need to break a sweat. Lack of features may be a con for some users – I’m a simple man and love simple products. However, I will admit that the lack of electronic features (like Bluetooth capability or speedometer) may be a negative to some prospective buyers. 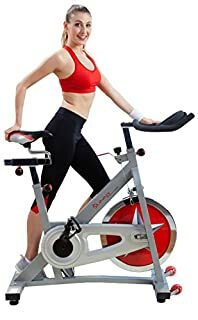 Uncomfortable Seat – The sunny health and fitness indoor cycling bike comes with the same seat most indoor bikes come with: an uncomfortable one. You will probably end up adding an aftermarket seat. Pedal Problems – It seems like there might be some small issues with pedal longevity. 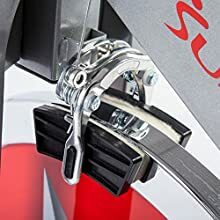 To help this make sure you install the pedals correctly to avoid stripping threads—the left pedal screw of the sunny health & fitness pro indoor cycling bike (like in all bikes) must be fastened in a counter-clockwise fashion. 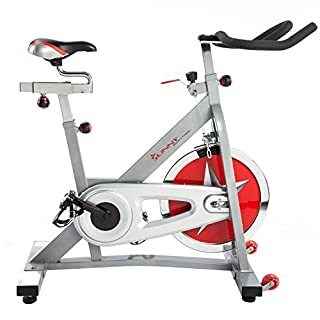 For the low price, this indoor bike is a great choice for those looking to add to their home gym or someone who just needs a little more exercise in his life. I love its simple design as it keeps the cost low and makes it so easy to use! 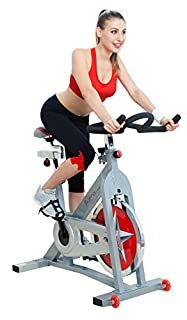 The Sunny Health & Fitness SF-B901 Pro Indoor Cycling Bike has everything you need to start spinning at home affordably and for that reason I would recommend it to amateurs and professionals alike.